Boltonia is a flower that is not very well known. Or perhaps they are well known, just not by their name. 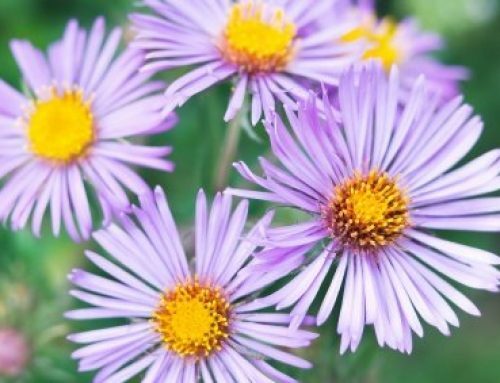 They bear a strong resemblance to Daisies and certain species of the Aster plant. Like a Daisy they have the same yellow disc in the center and are surrounded by flat white petals. Boltonia also grows in a lovely shade of pink. This is definitely one of falls more easily maintained plants. They are easy to grow and just as easy to care for. While they do prefer to be in a spot with full sun, they aren’t picky about the type of soil they are to be planted in. So when deciding on a spot to begin planting, just make sure it receives a lot of good fall sun! They do tend to grow out a bit wildly so a good place to put them could be in a bed of their own. They are not however limited to a solo flower bed. You can mix then with other fall flowers or even use them as a border along a walkway. The choice is yours. When you find your spot and are ready to begin planting, set each plant about 2 to 3 feet apart. First you will notice the lovely leaves blooming and then the flowers shortly follow suit. They usually grow in the months of September through October. Depending on how warm of a climate you live in, they sometimes can live all the way through to November. The flowers will grow to a nice height of 3 or 4 feet tall. Even though they can be pretty tall, this plant doesn’t need to be staked. I recommend planting this as a fall flower simply because it is beautiful to look at, and easy to grow and maintain!